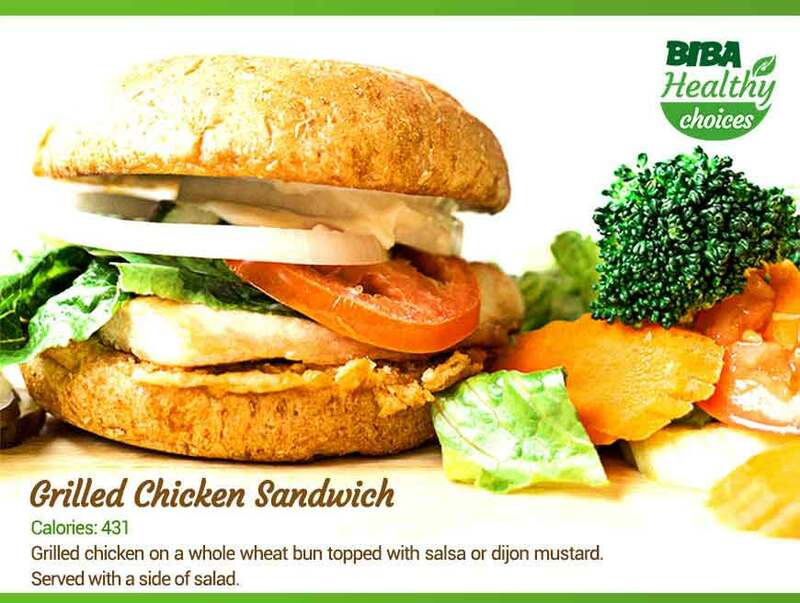 Up your healthy game today with our newly-added Grilled Chicken Sandwich – so good you’d never believe they’re healthy! It comes in a whole wheat bun that is rich in fiber, with salsa or Dijon mustard – whichever you pick. Fresh off the grill—savor the delicious aroma and taste and get even more satisfaction knowing it’s healthy, too! Treat yourself to this hearty burger today to find out. 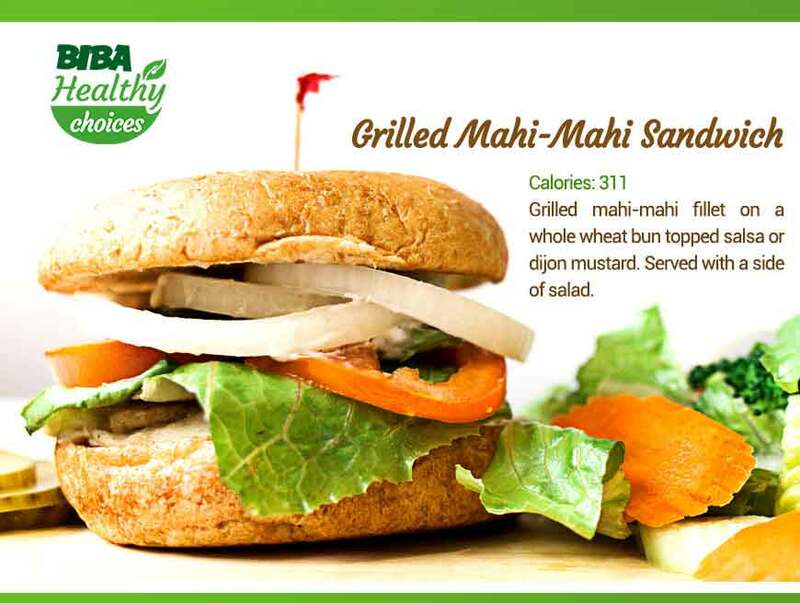 A sister of our Grilled Chicken Sandwich, our Grilled Mahi-Mahi Sandwich is perfect for a no-meat meal. Mahi-Mahi, also known as dolphinfish, is an excellent source of protein that boosts your nutrient intake when eaten. Complemented with the whole wheat bun, your choice of salsa or Dijon mustard, with side salad and you get everything you need to fuel your day. Feast on the Grilled Mahi-Mahi Sandwich today. Believe us when we say we can make a delicious omelet without the yolk. Full of satisfying flavor and heart-friendly ingredients, our Spanish Egg White Omelet is one dish that would surely change the impression that healthy= bland and boring. 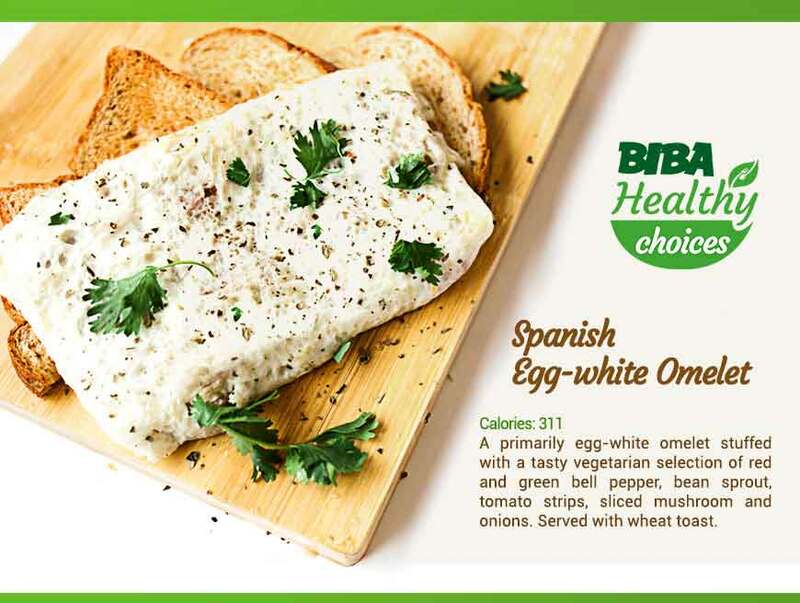 The Spanish Egg White Omelet is especially made to lessen the risk of diabetes and heart disease, by keeping only the egg white and mixing it with leafy greens. Peppers add a flavorful zing to the dish. It also comes with a wheat toast which is rich in fiber. Healthy, fresh, and tasteful, our Shrimp Kelaguen is a crowd favorite. It’s an ideal tummy-filler especially when you feel like giving yourselves a break from the usual meat every once in a while. Shrimp contains a good amount of protein and is low in calories, while coconut milk is lactose-free – perfect for our lactose-intolerant diners. Love local! Support our very own Shrimp Kelaguen. Who says you’d have to leave the rice altogether to eat a healthy meal? Enter the Grilled Mahi Lite – perfect for fish enthusiasts and rice lovers. The protein content of Mahi-Mahi topped with its nutrient-boosting potential is complemented with the healthy carbohydrate of rice that will surely up your game through the day. 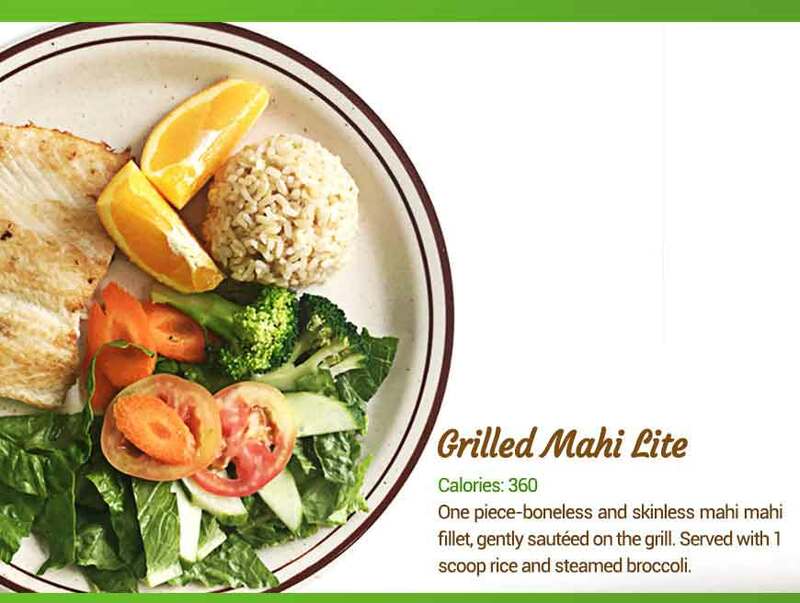 Have a taste of our Grilled Mahi Lite today. In spite of endless debates on whether pork is healthy or not, we at Shirley’s believe that pork can easily be one of the healthiest dishes around, as long as it’s prepared to be a healthy meal. 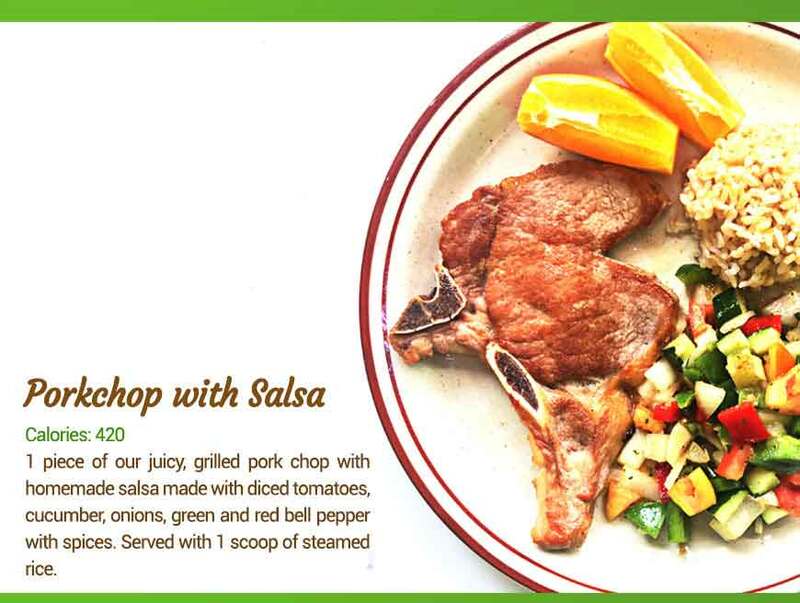 Pork chops are high in protein which is essential for repairing muscles after exercise and maintaining a strong immune system. Top that with our tasty, flavorful salsa with rice and you’re good to go. Get pass the meaty debates and you’ll find that pork chops are downright healthy. 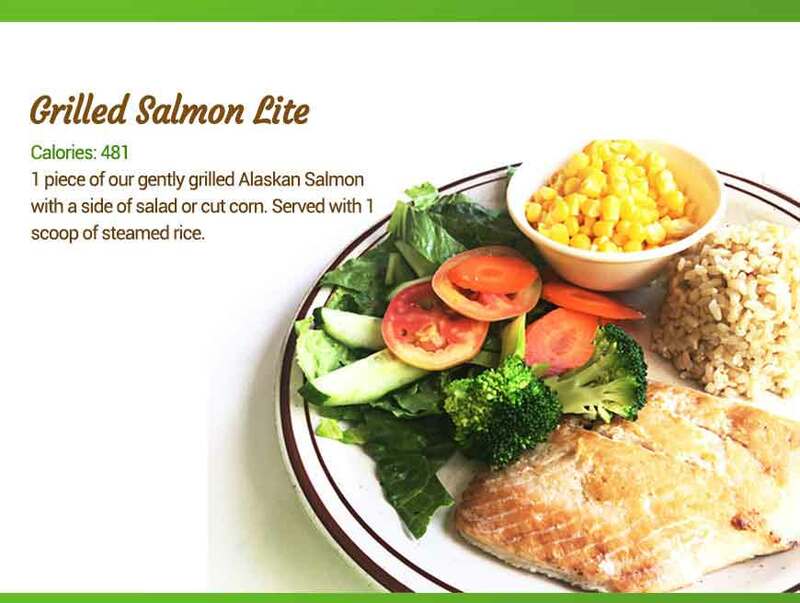 Branded as the Powerhouse of Nutrition, you can say that Alaskan Salmon has got it all – from appetizing look, tastefulness, health benefits, low calories to promising skin benefits. Among fishes, Salmon is definitely one of the best out there. Choose between salad and cut corn for the sides, and get that energy pumped up with staple food rice.